Join us for the 3rd annual Alabama Young Professionals Summit on Thursday, July 13, 2017, at Regions Field in Birmingham from 11:00 am-6:00pm. The Summit is a dynamic half-day event that will feature professional development, networking and vision casting for the future of Alabama from the perspective of our rising leaders. This is Alabama, a community movement with thousands of followers, is hosting the YP Summit to engage Alabamians interested in quality of life issues championed by young professionals. In addition, the YP Summit draws a quality audience with its showcase of YP organizations and their members; personal and professional development; forums for community conversations and interactive elements such as a festive YP awards reception by Birmingham magazine. The mission of this event is to connect young professionals and leaders to maximize impact within their own organizations and across their communities. 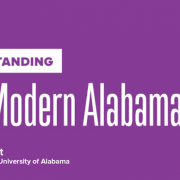 This event will be promoted statewide through all of our publications, including AL.com, The Birmingham News, Birmingham magazine, The Huntsville Times and Mobile’s Press-Register. The cost to attend the full event is $75. Companies can sponsor their employees’ attendance through a special $500 package. 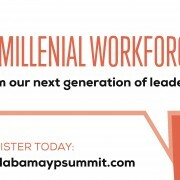 Find the speakers, agenda, registration information and program updates on our website at www.alabamaypsummit.com. We hope that you and your company will join us as sponsor partners. The deadline to confirm your sponsorship is May 20, 2017. Learn more about sponsorship opportunities here.